I haven't really talked about how freakin' excited I am about my Pittsburgh Steelers playing in this Sunday's Super Bowl. 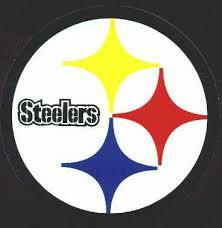 And yes; I can call them 'my' Steelers. I've been a fan my entire life. I grew up about 150 miles North-East of Pittsburgh, but for all the Black & Gold around my hometown, you'd have thought we were a suburb of the 'Burgh. I remember my elementary school classmates coming to school with those Mean Joe Green "One for the Thumb" t-shirts. I also remember waiting a long time for that to happen. We got our chance, back in '95, but that obviously didn't work out. So, Pittsburgh's in the Super Bowl. It's a pretty big deal. I'm happy to have at least one food-blogging Steeler's fan to share the excitement with, because while my husband is very supportive, he's just not a sports fan. And after all, I'm living in Tennessee. Not a lot of Black & Gold love down here. I'm not exactly having a party, but I am making lots of food. I'm still working on the menu, but so far, I'm making Pittsburgh Chipped Ham Sandwiches, But With Turkey Instead of Ham (Matt doesn't like ham, go figure); this is a very regional dish. I grew up with this, and miss it very much. At least I can feed it to my husband! Black & Gold Nachos...they don't really need an explanation, do they? Pierogies: Pittsburgh has a very large Polish population, and the Pittsburgh Pirates (that's our baseball team, for the sports-impaired) even has Pierogie races during the game. If either of us were drinkers, we'd grab a six-pack of Iron City Beer, but that's just not an option. That's all I have planned right now, but I know that menu's going to get bigger! Blog Party#7 has been announced, and this month? It's all about Red and Hot! Your cocktail and appetizer entries are due in less than two weeks, 16 February; so start planning, and hope to see you at the party! Dear lord - Chipped Ham Sandwiches were a staple for my family growing up in Western PA! I grew up about an hour north of Pittsburgh. Yay, I'm also doing the party thing, Stephanie, but with regular Papa Johns pizza, chips and some cashew sweet from Costco. We went to burgh yesterday just for fun. There was a parade on strip district, lots of food and very loud and ear shattering 'here we go steelers' song playing repeatedly. Except for the occasional showers, we really had fun time, also bought some gold and yellow nachos. For this Superbowl, more than anything, I'm wishing for an exciting game like in 04. Jeff...how wonderful to find another chipped ham sandwich fan! My Grammy made them for summer get-togethers, and I loved them. Even after I became a vegetarian, I made them for a friend's bridal shower, and I don't remember bringing any home! I'm so excited! I'm just taking a break from the kitchen, but I'm getting lots of food ready for the game. And there'll only be three of us! Aw...you were in Pittsburgh? I haven't been there since...lemme think...'99, if I remember correctly. I really miss it. And I haven't seen signs of a single Steelers fan around here! Blog Party#7: Red & Hot! ARF/5 A Day Tuesday#5: Bottom's Up! WCC: Comfort Foods: Eat Me! It's not true, I swear! WDB#19: What a Gorgeous Day!